Dr. Foo Keng Yuen is a lecturer of River Engineering and Urban Drainage Research Centre, Universiti Sains Malaysia. His research interests are environmental engineering, waste utilization, water treatment technology, catalysis, food security and toxicology, and environmental health. Foo has a Web of Science Hirsch (H) index of 30. He has authored more than 100 publications in reputed international, high-impact and proceeding journals, and book chapters, with the accumulative impact factor of 314.39, and total citations of exceeding 4,000 times. He serves as Editor, Editorial Board Members, Scientific Adviser, Technical Committee, Review Committee, Keynote and Invited Speakers in several international scientific journals, conferences, and research seminars. Prof. Oluwole Daniel Makinde is a Distinguished Professor of Applied Mathematics and Computations at the Faculty of Military Science, Stellenbosch University, South Africa. Prof. Makinde is a Fellow of the African Academy of Sciences, and a Fellow of the International Academy of Physical Sciences. He has won several research excellence awards, including the prestigious African Union-Kwame Nkrumah Continental Scientific Award (2011), South Africa NRF/NSTF TW-Kambule Outstanding Researcher Award (2010), Nigerian National Honour Award (MFR), etc. His research focus includes Fluid Mechanics, MHD, Heat and Mass Transfer, Nanofluid Dynamics, Bio-Mathematics, etc. Prof. Makinde has authored 4 textbooks and monographs on Applied Mathematics, and has published over 300 papers in reputable peer-reviewed journals. Tongwen Xu is a Full Professor at the University of Science and Technology of China. He received PhD in Chemical Engineering from Tianjin University in 1995. Tongwen was a postdoctoral research fellow at Nankai University during 1995-1997. He has published over 300 peer-reviewed publications, 19 invited book chapters, 50 issued Chinese patents . He act as editor in chief of 3 international books and editorial board members for 9 international journals. He received the National Science Foundation for Distinguished Young Scholars in 2010 and selected as FRSC in 2013. His current researches are focused on the synthesis and applications of functional polymers and membranes. Antonio Gil is Professor of Chemical Engineering in the Applied Chemistry Department at the Public University of Navarra, Spain. He received his Ph.D.in Chemistry from the University of Basque Country, San Sebastian, Spain. He has coauthored more than 350 book chapters, journal and conference papers related to adsorption, environmental catalysis and environmental technologies. Dr. Roumiana P. Stateva is a full professor at the Institute of Chemical Engineering, Bulgarian Academy of Sciences, Sofia. She received her PhD degree in Chemical Engineering from the Dmitry Mendeleev University of Chemical Technology of Russia. Prof. Stateva’s research interests include modelling and calculation of phase equilibria of complex systems, thermophysical properties prediction and evaluation, and simulation, design and optimization of conventional and emerging processes and technologies. Dr. Stateva has published more than 80 publications in high impact international journals and three book chapters with more than 1200 citations. Dr. Zeeshan Nawaz received his Bachelor and Master degree’s with distinction in Chemical Engineering from MUET Jamshoro (2003) and UET Lahore (2006), respectively. Later he earned his Doctorate of Engineering (PhD) in Chemical Engineering & Technology in 2010 from Tsinghua University, Beijing, China. Dr. Zeeshan has published more than 80 publications including research papers, book chapter, communications, reviews, conference papers, technical notes, etc. and about 30 international patents. At the same time, he is also member of editorial boards for various reputed research journals of chemical engineering and member of professional bodies/institutions. Dr. Mohsen Sheikholeslami works in the Department of Mechanical Engineering , Babol Noshirvani University of technology, Iran. His research interests are CFD, Mesoscopic modeling of fluid, Nonlinear Science, Nanofluid, Magnetohydrodynamic, Ferrohydrodynamic and Electrohydrodynamic. He has written several papers and books in various filed of mechanical engineering. According to the reports of Thomson Reuters, he has been selected as a Web of Science Highly Cited Researcher (Top 0.01%) in 2016. He is also the first author of the books " Applications of Nanofluid for Heat Transfer Enhancement", "Hydrothermal Analysis in Engineering Using Control Volume Finite Element Method" and "External Magnetic Field Effects on Hydrothermal Treatment of Nanofluid" which are published in ELSEVIER. Dr. William Acree Jr. is a Professor of Chemistry at the University of North Texas. He is a Fellow of both The Royal Society of Chemistry and the International Union of Pure and Applied Chemistry. His research expertise is in the area of areas of chemical and solution thermodynamics. Research interests include development of mathematical linear free energy relationships to solute transfer between two immiscible (or partly miscible) phases, development of thermodynamic models to predict solubility of crystalline organic nonelectrolyte solutes in both mono-solvents as well as multicomponent solvent mixtures. Dr. Acree has published more than 750 peer-refereed research articles. Dr. Menwer Attarakih is a professor of computer-aided process engineering at the University of Jordan and is a visiting professor at the University of Kaiserslautern since 2005. He earned his BSc and MSc in chemical engineering from the University of Jordan with excellent grade and earned his PhD in Computer-Aided Process Engineering from the University of Kaiserslautern with distinguished (mit Auszeichnung) grade. His area of research is mathematical, numerical and dynamic modelling of chemical processes using Population Balances and CFD. He is the Inventor of PPBLab software for modelling and design of liquid extraction columns and SQMOM (US Patent 20100106467) to model discrete systems. He adapted nonoscillatory central difference schemes for the coupled hydrodynamics and population balances. Prof. Attarakih was Honoured as one of the top 10 percent of peer reviewers in Chemical Engineering in 2016 on Publons. He has published more than 120 peer reviewed papers in well-known and reputable international Journals, and participated in more than 50 peer reviewed symposia and conferences. Dr. Bal’zhinimaev is a head of research group at the Boreskov Institute of Catalysis. His research interests are reaction kinetics, oxidative catalysis, catalysis in abatement of hazardous emissions, application of functional materials in heterogeneous catalysis. Dr. Bal’zhinimaev has published more 170 research articles, 86 reviewed proceedings and 55 patents. He has served as reviewer for high-impact journals. Dr. Bal’zhinimaev was Member of Editorial Board of Green Chemistry, Journal of Natural Gas Chemistry, Journal of Energy Chemistry. He is member of Russian Mendeleev Chemical Society, ACS, Scientific Council on Catalysis of Russian Academy of Sciences. Dr. Saeid Baroutian is a Senior Lecturer in the Department of Chemical & Materials Engineering, The University of Auckland, New Zealand. He is a multi-disciplinary chemical engineer with a background in “process engineering”, “environmental chemical engineering”, and “bioenergy”. He has more than ten years research experience and has been actively involved and he managed various projects. Dr. Byungchan Han is an Associate Professor in Department of Chemical & Biomolecular Engineering, Yonsei University. He did B.S. and M.S from Department of Nuclear Engineering, Seoul National University. Later, he did Ph.D. from Department of Materials Science and Engineering, MIT. Dr. Han has numerous awards/honors and publications to his credit. Dr. Russell R. Chianelli did his B.S. and Ph.D. in Chemistry from Polytechnic Institute of Brooklyn in 1970 and 1974 respectively. Since 1996, he is Professor of Chemistry, Materials Science and Engineering, and of Environmental Science and Engineering in University of Texas at El Paso. Dr. Chianelli has been bestowed various awards/honors for his valuable contribution to science. Prof. Young-Cheol Chang was born in South Korea and received his Ph.D. from Gifu University in Japan. Currently, he is working as Dean, College of Environmental Technology in Muroran Institute of Technology, Japan. He has successfully completed his Administrative responsibilities as Research Fellow at University of Central Florida, USA. His research has included biodegradation of pollutants and lignin degradation and bioethanol & bioplastic production. Based on this research and fellowship training, he has received several awards and honors, such as: Prize of Secretary of Korea Ministry of Construction & Transportation, Prize of Secretary of Korea Ministry of Science & Technology. Dr. Chong Cheng is an AvH postdoc researcher in Freie Universität Berlin. He obtained his BS degree in Biomedical Engineering, Sichuan University. Then, he pursued his Ph.D. degree under the supervision of Prof. Changsheng Zhao. From 2013, he had been doing research works at University of Michigan, Ann Arbor with Prof. Nicholas A. Kotov as Joint-Training Ph.D. student. After finishing his Ph.D studies, he joined the group of Prof. Dr. Rainer Haag postdoctoral researcher. His publication includes over 70 papers on designing carbon nanomaterial based architectures for tissue regeneration, stem-cell therapy, and biological electrodes. W. Chu is a Professor in Department of Civil and Environmental Engineering, The Hong Kong Polytechnic University He obtained his Doctorate of Environmental Engineering, School of Civil Engineering, Purdue University, USA, 1994. Hehas completed his Master of Engineering, form the Institute of Environmental Engineering, National Taiwan University, Taiwan, 1987. His research areas are Water and Wastewater Treatment, Industrial Effluent Treatment and Design, Environmental Chemistry, Advanced Oxidation Processes, and Soil Remediation. He has authored about 146 publications with 4240 citations, having 37 h-index. Dr. Tianlong Deng is honored as a distinguished professor of Tianjin Government and “A Hundred Talents Program” of the CAS. At present, he is the director of Tianjin Marine Chemical Engineering Center and the Vice Dean of College of Chemical Engineering and Materials Science at Tianjin University of Science and Technology. His research fields are focused in phase equilibrium, thermal analysis and the comprehensive utilization of brine resources. Prof. Dr. Yingchao Dong received his Ph.D. degree from University of Science and Technology of China (USTC) (2008) and then served as post-doctoral fellow at USTC, at University of Limerick, Ireland, at Tokyo Institute of Technology, Japan from 2008-2012. He served as group leader and full professor at Institute of Urban Environment, Chinese Academy of Sciences from 2012-2016. The research results are published in over 100 publications and 8 patents, including ~70 peer-reviewed SCI papers, with ~1200 citations (H-index = 22). Nadjib DROUICHE is a senior researcher at the Centre de Recherche en Semi-Conduceurs pour l’Energetique (ALgeria). He is also the head of the environmental team. His research interests include adsorption, membrane processes, electrochemical processes using sacrificial anodes, Advanced Oxidation Processes, and recovery of by-products from industrial waste. He has published more than 90 papers in ISI-ranked journals with more than 1350 citations and his h-index is 22. Dr. Drouiche was awarded TWAS-ARO YAS Prize 2012: "Sustainable Management of Water Resources in the Arab Region". Dr Alessandro Erto received his Ph.D. in Chemical Engineering from University of Naples Federico II in 2007. Currently, he is Assistant Lecturer of Unit Operation and Environmental Chemical Engineering courses at the University of Naples Federico II and has had ten years of post-doc experience in the fields of chemical and environmental engineering. He is co-author of over 65 peer-reviewed publications, also deriving from numerous scientific collaborations with international research groups. The research interests, including both experimental and modelling studies, mainly focuses on wastewater treatment (mainly by adsorption), groundwater remediation, gas treatment, desulphurization and CO2 capture from flue-gas. Prof. Shao Hong-Bo is professor in Chinese Academy of Sciences (CAS), Yantai264003, China, and Jiangsu Academy of Agricultural Sciences, Nanjing, China He has done his Ph.D. in Soil Biology (Relationship between Soil and Plants). His research interests are: Plant Stress Biology under salt and water , especially at the physiological and molecular level; Relationship between Plants and Environment in terms of Agricultural Resources Utilization and Sustainable Soil Protection from Molecular level ,Genomics to Ecosystem, Salt soil improvement; Soil Biology and Soil Ecology. He has published 18 articles and having h-index 10. Univ.-Prof. Mag.Dr. Christian W. Huck currently holds a position of a full professor for analytical chemistry at Leopold-Franzens University of Innsbruck, Austria. Currently, Prof. Huck is also guest professor at Kwansei Gakuin University (Sanda, Hyogo, Japan). He has published more than 200 scientific publications describing new analytical attempts in vibrational spectroscopy (different modes of infrared and Raman) and separation science including mass spectrometry (LC, SPE, CE, CEC, -MS, MALDI) and is a named inventor of 14 issued international patents. Prof. Huck has received several international awards (e.g., Buechi, Euregio, Swarovski etc). Prof. Dr. Heqing JIANG studied B.Sc and M.Sc. in Chemistry at Henan University (China) in 2001 and 2004 respectively. Later, he completed his Ph.D. at Leibniz University Hannover (Germany) in 2010. Dr. Jiang main research interest focuses on the functional materials with nanostructures and their application in separation and catalysis. So far, Dr. Jiang has published more than 40 papers in various scientific journals. Tuomas Koiranen, has background from artificial intelligence applications in chemical process design. He has 12 years experience in R&D in industry, and his expertise in industrial sector was particle engineering, especially pharmaceutical active ingredient crystallizations. He started the professorship in 2013. He has over 60 publications and patents of which most are peer-reviewed articles and conference publications. Large part of academic research involves fluid dynamics applications, process design aspects and intensified process research. Sébastien Leveneur obtained his master of chemical engineering and process safety at INSA Rouen and at University of Rouen in 2004. He obtained his Ph.D. degree in Chemical Engineering from Åbo Akademi Univerity (Finland) in 2009. Since 2010, he is associate-professor at INSA-Rouen-Normandie, and since 2014 he is docent at Åbo Akademi Univerity. His research activities focuses mainly in valorization of biomass from a process intensification and process safety viewpoint. Prof. Dr. W. F. Lin is a Professor of Chemical Engineering at Loughborough University. He is a Fellow of Royal Society of Chemistry. He has particular expertise in electrochemical energy and environmental systems and engineering (fuel cells, batteries, super-capacitors, ozone and advanced oxidation technologies for water treatment and disinfection), electro-synthesis, nano-materials, nano-technologies, electro-catalysis, in-situ spectroscopy, surface science and engineering; and has been active in these areas for over 20 years with over 150 publications (his top 4 original research papers in fuel cell catalysis and sustainable chemical technologies have over 1000 citations). Yanbiao Liu is a Full Professor at Donghua University of China. Yanbiao received his Ph.D. degree from Shanghai Jiao Tong University of China in 2011. He pursued his postdoctoral training at the NUS Environmental Research Institute (NERI) of National University of Singapore (NUS) during 2012−2016. He has published more than 40 peer-reviewed articles/chapters with total citations over 1600 times, and filed 6 invention patents. His current research interests are engineering functional nanomaterials for catalytic and environmental applications. Dr. Javier Marugán is associate professor of Chemical Engineering at the Rey Juan Carlos University, in Madrid. He has been working in photocatalytic processes for almost 20 years, especially in the synthesis of catalytic materials, their application to the photocatalytic oxidation of pollutants and the inactivation of microorganisms and the modelling and scaling-up of photocatalytic reactors. Prof. Mehrpooya is associate professor at Renewable Energies and Environmental Department, University of Tehran. He is head of hydrogen and fuel cell laboratory. In this laboratory they research on micro fuel cell manufacturing and nano-structured electrocatalysts. He has more than 10 years of experience in design and optimization of integrated renewable and non-renewable processes like fuel cell power plants, hydrogen production and liquefaction, high temperature solar thermal hybrid energy systems, CO2 capturing processes and cryogenic processes. Prior to joining Renewable Energies and Environment Department he worked on various kinds of production processes especially in energy systems and catalytic processes in oil gas industries. Dr. Mehrpooya holds a PhD in chemical engineering from chemical engineering department at University of Tehran, Iran. Eduardo A. Montero received the M.S. degree in industrial engineering, specialised in energy engineering, from the Polytechnic University of Madrid, Spain, in 1984 and the Ph. D. degree in energy engineering from the University of Valladolid, Spain, in 1996. His academic expertise includes engineering thermodynamics, heat transfer and energy technology. His current research interests are experimental determination of thermodynamic properties of industrial liquids and energy efficiency systems in buildings. Dr. Myasnikov S.K. is a Leading Researcher at the Kurnakov Institute of General and Inorganic Chemistry, Russian Academy of Sciences (RAS), Moscow. Dr. Myasnikov is a specialist in the field of theoretical foundations of chemical engineering. The main scientific direction is the processes of mixture separation and substance purification. In recent years, he managed a number of projects in the field of hybrid and crystallization separation processes and physical methods of their intensification. Dr. Myasnikov is the author of 180 scientific publications. He is also a member of the Scientific Council of Chemical Technology RAS and a member of the EFIC working group. Rames C. Panda received the M.Tech. and Ph.D. degrees in chemical engineering in 1989 and 1994, respectively, from the Indian Institute of Technology, Madras. In 1993, he joined Chemical Engg. Dept. of CLRI, CSIR, as a scientist. He looks after industrial instrumentation and process control related works. He has carried out research works at University of Karlsruhe (TH), Germany in 1997–8., at PSE, Chem Engg Dept, NTU, Taiwan (2002-3) and Chem Engg Dept, Curtin Univ of Tech, Australia (2006-7). Presently, he is working as a Principal scientist & faculty at Chem Engg Dept., CLRI. His research area includes autotuning, PID controllers and analysis of control systems, process modeling, and simulation. Dr. Rasteiro holds a PhD in Chemical Engineering from the University of Coimbra and Aggregation from the same University. She is presently Associate Professor with Aggregation of Chemical Engineering in that University, in Portugal. Her area of expertise is Particle Technology and she was responsible for introducing that subject in the Chemical Engineering curricula in Portugal, coordinating the research group in that field in the R&D Centre of Chemical Engineering at the University of Coimbra. Besides the research work resulting in the publication of over 200 scientific publications, she has been involved in several management positions namely of institutions that enhance technology transfer between university and industry and start-ups incubation. MoS and PhD in Industrial Chemistry, with a second MoS degree in Chemical Engineering, she is presently Associate Professor of Chemical Plants. Here research interests span from Applied and Industrial Catalysis to the development, design and intensification of advanced chemical processes. She currently explores innovative processes for the production of hydrogen, chemical and energy conversion from renewable sources. Particular attention is devoted to process simulation and economic evaluation. She is also active in the development of innovative photoreactors and the relative processes. Prof. Dr. Jaya Narayan Sahu born in 1976. He received B. Tech. (Chemical Engg. ), Berhampur University, India, and Ph. D. (Chemical Engg. ), Indian Institute of technology (IIT) Kharagpur, India. Dr. Jaya have a total of fifteen years of teaching, research, consultancy & projects experience. Prof. Jaya is presently working at the University of Stuttgart, Institute of Chemical Technology, Faculty of Chemistry, Stuttgart, Germany under the prestigious Alexander von Humboldt Foundation grants senior research fellowship. Dr.Pichiah Saravanan @ Dr Sara, presently working as Associate Professor and lead Environmental Nanotechnology research at Department of Environmental science and Engineering, Indian Institute of Technology (ISM) Dhanbad INDIA. Prior he served 7 years at University of Malaya (ranked 114 in the world) where he founded and led the Environmental Nanotechnology research group at Department of Civil Engineering. He is one among the prominent researcher’s in the field of Chemical Science and has been awarded MRSC by the prestigious royal society of chemistry, UK. He has authored more than 60 scientific articles that were published in reputed platforms; possess citation impact (h-index) of 16. Dr. de Souza-Santos is a Professor at the Faculty of Mechanical Engineering, University of Campinas, São Paulo, Brazil. He obtained his Ph.D. in Chemical Engineering from the University of Sheffield (United Kingdom). During that time he was twice awarded with the Overseas Research Students Award. One of his simulation programs (www.csfmb.com) is employed by many universities and research institutions around the world. He has published three books in USA and near 100 papers in international journals in the areas of mathematical modeling and simulation of combustion and gasification as well advanced power generation processes (www.desouzasantos.info). John Tsamopoulos is a professor in the department of chemical engineering form the University of Patras. He has done Diploma in Chemical Engineering from National Technical University of Athens, 1979. M.S. Chemical Engineering, Mass. Inst. of Technology, 1981. His research interests are Modern numerical methods for solving basic and applied problems, Newtonian and Non-Newtonian Fluid Mechanics. Momentum, Heat and Mass Transfer Applied to Materials Processing, Applied Mathematics. He has authored about 93 publications with 2057 citations, having 25 h-index. Qing-Guo WANG received, respectively, B.Eng. in Chemical Engineering in 1982, M. Eng. in 1984 and Ph.D. in 1987 both in Industrial Automation, all from Zhejiang University, PR China. He is currently a Distinguished Professor with Institute for Intelligent Systems, University of Johannesburg, South Africa. His present research interests are mainly in modeling, estimation, prediction, control, optimization and automation for complex systems, including but not limited to, industrial and environmental processes, new energy devices, defense systems, medical engineering, and financial markets. He has published over 260 international journal papers and 7 books. He received over 11000 citations with h-index of 60. The group of Prof. Yan concentrates on the environmentally friendly catalysis based on nanomaterials and the research interests span in heterogeneous conversion of biomass and biomass-derived monomers into value-added chemicals and biofuels, electrocatalytic energy conversion and storage, catalytic degradation of solid waste and heavy metals. Yuan Yanping is a Full Professor at Southwest Jiaotong University and Deputy Dean of School of Mechanical Engineering. He received his PhD degree in Heating, Ventilating and Air conditioning from PLA University of Science and Technology in 2005. His research focus is Latent heat energy storage, interior hot humid environment, engineering heat & mass transfer and renewable energy application. Yuan has led 46 research projects with a total fund value of over ¥10 million, published 138 scientific papers as correspondence author ( 2 ESI highly cited papers and 1 ESI hot paper) and won 3 Science & Technology Awards. Ridong Zhang received the Ph.D. degree in control science and engineering from Zhejiang University, Hangzhou, China, in 2007. He is currently a Professor with the Institute of Information and Control, Hangzhou Dianzi University, Hangzhou. His research interests include process modeling, process control and nonlinear systems. He has published over 100 international journal papers and two books. Dr Michela Alfè is Researcher at the Institute of Research on Combustion (IRC) – CNR (National Research Council) since 2008. She got MS degree in Chemistry (2000) and PhD in Chemical Engineering at University of Naples “Federico II” (2004). Her current research interests include the synthesis of advanced low-cost carbon-based materials and composites for applications in energetic (solid sorbents for CO2 capture and storage, water remediation, sensoristic, photoactive materials, bionspired materials, biomass valorisation). This research activity is highly inter- or multi-disciplinary, lying between the areas of engineering, chemistry and physics. Sadia Ameen obtained Ph.D. in Chemistry, 2008, and then moved to Chonbuk National University. Presently she is working as Assistant Professor at Jeongeup Industry-Academic Cooperation Support Center, Jeongeup Campus, Chonbuk National University, Republic of Korea. Her current research focuses on Dye-Sensitized Solar cells, Perovskite Solar Cells, Organic Solar Cells, Chemical and Bio-Sensors, Photocatalytic Degradation, Diodes, Supercapacitors and FETs Devices. She has achieved Gold Medal in academics, holder of Merit Scholarship and Merit Certificate for the best academic performances. She is recipient of Best Researcher Award, 2016. She has published more than 95 peer-reviewed papers, contributed book chapters, edited books and is inventor/co-inventor of patents. Dr. Pietro Bartocci is a PhD in energetic at the University of Perugia and Researcher at the Biomass Research Centre of the University of Perugia. He is member of the Coal, Biomass and Alternative Fuels Committee (CBAF) of the American Society of Mechanical Engineers (ASME). Member of the Scientific Committee of the INTERNATIONAL CONFERENCE ON BIOMASS, organised by the Italian Association of Chemical Engineers (AIDIC). He is involved mainly in Bioenergy processes, both biological and thermochemical. He is also an expert of LCA analysis and food industry processes. Dr. Hacène Boukari is an Associate Professor in Delaware State University, USA. He obtained his Doctorate degree (PhD) in Chemical Physics from University of Maryland, USA. He completed his M.Sc. in Chemical Physics from the same University in 1986. He is serving as a reviewer in peer-reviewed journals like BIBM-IEEE, Journal Biomedical Optics, Physical Review Letters, Biophysical J., Current Nanoscience. He is also a member of Delaware Task Force for Chronic Diseases and Associate Director of Associate Director of Delaware Space Grant Consortium funded by NASA. Jing-Pei Cao is head of the Department of Chemical Engineering at China University of Mining and Technology. Prof. Cao holds a Ph.D. in Chemical Engineering from Gunma University. He is a member of ACS, CCS and SCEJ. His research interests are in the areas of thermochemical conversion of low-grade coals and biomass to H2-rich gases, chemicals and carbon materials. Prof. Cao has authored more than 80 papers in a number of international journals, 5 patents, and edited 1 book. He was awarded 3 prizes for science and technology progress in China Petroleum and Chemical Industry Federation (CPCIF). Professor Cisternas holds a Ph.D. from University of Wisconsin-Madison (USA). He is a member of the Editorial Board of International Journal of Mineral Processing.Professor Cisternas’s research interest is the use of a systems approach to solving problems in the mineral process. His research covers the development of systematic methods for solving problems, including modeling, optimization, design, and analysis of minerals processes.He has published more than 100 peers reviewed journal articles, more than 20 book chapters, and four books. By November 2017, seventeen MSc-students, seven PhD-student had submitted and successfully defended their theses under his supervision. Professor Haisheng Chen, BEng, PhD, is currently the deputy director of Institute of Engineering Thermophysics (IET), Chinese Academy of Sciences (CAS). He joined IET-CAS in 2009 as a “100-Talents” professor after previous employments at University of Leeds, IET-CAS, Vrije University of Brussels and Beihang University. More specifically, his research includes energy storage material and system, chemical process intensification, flow dynamics and heat transfer in confined space. He has been involved with 50+ research projects with 30+ of which being the principal investigator. His research has led to 200+ papers, 9 book chapters and 140+ patents. Professor Zhen-Min Cheng received his Ph.D. degree in chemical engineering in 1993 at East China University of Science and Technology and became a professor in 1999. He has published two textbooks in chemical reaction engineering on graduate teaching and received Excellent Textbook Award by the Chinese University Publishing Association (UPA). His research activity is mainly focused on reactor simulation and internals design, multiphase flow theory, interface engineering, process intensification, porous medium simulation, CO2 conversion, and alcohol synthesis. He has published more than 200 papers and 120 of them are in SCI indexed journals. Professor Dr. Mohammad Hadi Dehghani is a Full Professor and head of the department of Environmental Health Engineering at the Tehran University of Medical Sciences, School of Public Health, Islamic Republic of IRAN. He was graduated in PhD degree from Tehran University of Medical Sciences (TUMS). His research interests include water treatment and quality fields. He is the author of various research studies published at national and international journals, and conference proceedings. He has authored eight books and more than hundred peer reviewed papers. He is an editorial board member and reviewer in many internal and international journals and scientific committees. Renzo Di Felice obtained his Bachelor Degree in Chemical Engineering from the University of L’Aquila (Italy) in 1981, then his Ph. D. and D. Sc. (Eng) from the University of London (U.K.) in the year 1988 and 1997 respectively. Since 1992, he is a Professor of Chemical Reactor Engineering at the University of Genova (Italy). Renzo Di Felice research activity has been focused on the fluid dynamic behavior of two-phase suspensions. Recently, he has taken a scientific interest on multiphase reactors. His scientific activity has been reported in more than one hundred papers in international scientific journals. Prof. Everaldo Santos awarded his undergraduate course in Chemical Engineering by Federal University of Rio Grande do Norte (1994), his MSc. (1997) and DSc. (2001) also in Chemical Engineering by State University of Campinas (Unicamp). He was a research visiting at Massachusetts Institute of Technology (MIT) from January to June (2014) working at Prof. Kristala L. J. Prather group. Currently, he is an Associate Professor in the Chemical Engineering Department at Federal University of Rio Grande do Norte. He has experience in Chemical Engineering, mainly on Biochemical Processes. Others topics are Expanded Bed Adsorption; Downstream processing, whey, fermentation, enzymes, waste treatment. Dr. Khalid Z. Elwakeel is the associate professor of the environmental chemistry at Port Said University. Currently; He works as associate professor at University of Jeddah, Saudi Arabia. Elwakeel is the recipient of the Egyptian Encouragement Prize in Chemical Sciences. Egyptian Academy of Scientific Research and Technology, Egypt, the Misr El-Kheir Award for the best publication (2013) and the Award of professor, Dr. Faiza Al-Kharafi in the field of basic science (2010). Xianfeng Fan did his PhD in chemical engineering from the University of Birmingham.He did Master in materials and metallurgy, from Central South University, and Beijing General Research Institute of Mining. His research interests are Colloid and Interfacial Chemistry, Fluidization Engineering, Surfactants, Techniques for Characterization of Material Chemistry, Froth Flotation, Waste Treatment and Recycling. He has authored about 84 publications with 1462 citations, having 19 h-index. Dr. Huang received his Ph.D. from the Department of Civil and Environmental Engineering at Clarkson University (USA). His current research interests are broadly clustered in the areas of environmental and electrochemical technologies, including resource recovery, removal/degradation of (emerging) inorganic/organic pollutants, fabrication of electrodes/sensors, and proton exchange membrane fuel cells. Prof. Huang has served as reviewers for many renowned journals and is on the editorial boards of several international journals. He has published more than 80 papers in the journals with indexing in the Science Citation Index by Thomson-Reuters. He also serves as a supervisor for Taiwan Association for Aerosol Research. Aydin Hassani received his Ph.D. degree in Physical Chemistry at the Atatürk University, Turkey, 2016 and afterward, he worked for one year at Atatürk University as a Post-Doctoral researcher. Since 2017, He is an Assistant Professor working in the Department of Materials Science and Nanotechnology Engineering at the Near East University, Turkish Republic of Northern Cyprus. His research is focused on the development of nanomaterials and catalysts for environmental application. He is also working on Advanced Oxidation Processes (AOPs) including ultrasound-assisted, Sonocatalysis, Fenton, sono-Fenton, photolysis, and photocatalysis processes. He serves as a professional reviewer for over 30 well-reputed journals. Dr. Aydin Hassani has been bestowed several awards and honors for his contribution in science. He has published in over 50 publications including 30 peer-reviewed papers and 2 book chapters. He received over 650 citations with h-index of 15. Bahadır K. Körbahti graduated from Chemical Engineering Department in 1997, Hacettepe University, Turkey, where he received his MSc (1999) and PhD (2003) degrees. Dr. Körbahti worked as an Assistant Professor in Chemical Engineering Department, Mersin University, Turkey, between 2005-2012. Currently, he is working as an Associate Professor in Chemical Engineering Department, Mersin University, Turkey, since 2012. His research expertise fields include chemical reaction engineering, electrochemical oxidation and degradation of organic pollutants, electrochemical polymerization, process optimization, and mathematical modeling. Dr. Lin received his Ph.D. from the Department of Earth and Environmental Engineering at Columbia University (USA). He is currently working as an Associate Professor in the Department of Environmental Engineering. His research focuses on development of advanced materials and catalysts for energy and environmental applications. In the past few years, he has been becoming one of leading experts for environmental applications of metal organic frameworks (MOFs) and their derivatives. He has also served as reviewers for more than 60 high-impact journals. Dr. Lin has co-authored more than 70 SCI journal papers. Chuan-Fu Liu obtained his PhD degree from South China University of Technology. His research is focused on the utilization of renewable lignocellulosic biomass and its isolated components. He has authored or co-authored over 100 publications in international journals. Giusy Lofrano got her PhD in Environmental Engineering in 2007 and the National Scientific Qualification as Associate Professor in Sanitary Environmental Engineering in 2017. Currently, she is Contract Professor of “Environmental Impact Assessment” at Salerno University and “Wastewater treatment” at Padua University (Italy). She has more than 10 years of postgraduate experience in Environmental protection and Restoration Technologies with a special focus on wastewater treatment and land remediation. She has been involved in several national and international research projects as both participant and principal investigator. She is member of some editorial boards of international journals and Editor of three books dealing with advanced wastewater treatment and environmental remediation published by Springer Verlag. She acts as a reviewer for Research and Technology Development projects (EU and national) and several international journals with high impact factors. Dr. ABDESLAM-HASSEN MENIAI has done his PhD form UMIST, Manchester University, UK in 1991. Currently he is a Professor of Chemical engineering Department, Faculty of Pharmaceutical Process Engineering, University of Constantine 3- Constantine, Algeria. His research interests are - Advanced Solvent Extraction, Advanced Chemical Engineering, Thermodynamics of Phase Equilibria, Adsorption processes and Modeling of chemical processes. He has published 132 papers and having h index 14. Throughout the research carrier of 20 years the undersigned is mainly involved in the field of inorganic porous material development as adsorbent and heterogeneous catalyst for environmental application. Mostly my interest is in the area of the surface characterization of synthesized porous 1D, 2D & 3D materials for different application like catalysis, photocatalysis and arsenic removal from drinking water etc. Currently we are also working on the development of different corrosion resistant coatings for industrial and aesthetic application. In addition our group have developed an equipment to study flow assisted corrosion under controlled atmosphere. Dr Murugesan Thanabalan is Professor of Chemical Engineering, Universiti Teknologi PETRONAS, Malaysia. He received his Ph.D in Chemical Engineering from Anna University, Chennai, India, and has been involved in teaching, research and industrial consultancies in Chemical Engineering and its allied fields during the past 33 years. Separation processes and transfer operations are his core domain of research. Based on his research outcome, he has published 175 research articles (h index = 29) in peer reviewed international journals with high impact factor apart from numerous conference proceedings. He is a well-established and most respected reviewer for research proposals and journal papers in his area of expertise. Prof. Murugesan has received many awards and accolades for his services to the industrial and academic sector. Prof. Murugesan is a Fellow and Chartered Engineer (CEng) of Institution of Chemical Engineers (IChemE) UK and Senior Member of AIChE, apart from his life memberships in many elite professional bodies. Dr. Sonil Nanda is a Research Associate in the Department of Chemical and Biochemical Engineering at the University of Western Ontario, Canada. His research areas are in the production of advanced biofuels and chemicals from waste and renewable biomass through hydrothermal gasification, pyrolysis, carbonization and fermentation. His parallel interests are in the generation of hydrothermal flames for the remediation of hazardous wastes, green catalysis, agronomic applications of biochar, phytoremediation of heavy metal contaminated soils, as well as carbon capture and sequestration. Dr. Nanda leads many interdisciplinary research projects relating to clean energy, biomaterials, sustainable environment and public health. Dr. Javier Miguel Ochando-Pulido is a researcher in the membrane field, especially in reverse osmosis, nanofiltration and ultrafiltration technologies, and in fouling issues. He received a State Grant from the Science and Innovation Spanish Ministry to do his Ph.D. at the University of Granada (In Dec 2012, he presented his Ph.D. thesis). During his post-graduation, he also received a State Grant at the University of Rome “La Sapienza”. He continued his postdoctoral research in the Chemical Engineering Department of the University of Granada, where he actually works as a Lecturer. Dr. Ochando-Pulido is an author/co-author of over 50 papers published in international peer-reviewed scientific journals, more than 80 contributions to conference proceedings and several oral speeches at international congresses. Prof. Xinhua Qi is a full professor of Agro-Environmental Protection Institute, Chinese Academy of Agricultural Sciences. His research interest mainly focuses on adsorption, environmental catalysis and catalytic conversion of lignocellulosic biomass into fuel and chemicals. He has published more than 90 peer reviewed scientiﬁc papers with a number of papers being in top-ranked international journals such as Environmental Science & Technology, Green Chemistry and Bioresource Technology. These papers have been cited over 1800 times in Web of Science with H index 23. He also has edited 5 books and 3 book chapters on environmental engineering and biomass resources utilization. Dr. Alejandro Rodríguez Pascual received his PhD in 2002 from the Universidad de Córdoba in the Chemical Engineering Department, Spain. He received his degree in 1999 in Chemistry, and in 2001 in Food Science and Technology. He was a “Ramon y Cajal” researcher from 2007 to 2011 in the Chemical Engineering Department of the University of Córdoba. Up to date he is working as a Professor in the same department (from November 2011). He has been working during last 15 years in agrifood residues, valorization, lignocellulosic materials, paper, pulp, lignonanofibres cellulose, hemicelluloses, cellulose, lignin, applications. Bidyut Saha is the elder son of Arati Saha & Haradhan Saha. Prof. Saha obtained his Ph.D degree in electron transfer reaction in micellar media. He was a visiting scientist for the year 2009-2010 in the Department of Chemistry, UBC, Canada. Prof. Saha is presently working as a Professor in the Department of Chemistry, Burdwan University, India. His area of interests is bioremediation of toxic metal and micellar catalysis. He has already published more than hundred papers in international journals. He is a frequent reviewer for ACS, RSC, Science Direct, John Wiley & Sons, Springer Link & Taylor Francis Journals. Prof. Santacesaria has obtained the Chemistry Degree at the University of Pavia. He has then been elected President of the Industrial Chemistry Division of the Italian Chemical Society and member of the Council as Past President in 2010-2012. He has been President of the Council of the Industrial Chemistry Degree Course from 1994 until 2009. He has collaborated with many Italian chemical industries. He has published more than 250 papers on qualified journals and is coauthor of more than 20 Patents. In November 2012 he have gone retired from the University and started a new activity as responsible of a Spin Off Company named Eurochem Engineering srl located in Milano. Sunan Huang received his Ph.D degree from Shanghai Jiao Tong University, Shanghai, China, 1994. During 1997-2013, he was a Research Fellow in the Department of Electrical and Computer Engineering, National University of Singapore. During 2013-2014, he was a visiting professor in Hangzhou Dianzi University. He is currently a Senior Research Scientist in Temasek Laboratories, National University of Singapore. He has co-authored over 100 journal papers and four books. His research interests include bio-medical device, process control,adaptive control, neural network control, and robot control. Dr. Guangshun Wang is a Associate Professor at Nebraska Medical Center, Omaha, USA. He has done his Ph.D., Simon Fraser University, 1997 (Biophysical Chemistry). His research focuses on the identification, characterization, and engineering of novel antimicrobial agents based on structural, bioinformatics, and functional studies. His ultimate goal is to develop novel compounds that curb pathogenic microbes, especially difficult-to-kill microbes such as methicillin-resistant Staphylococcus aureus (MRSA). He has 82 publications with h index 31. Dr. Guanjun Xiao is currently an associate professor of State Key Laboratory of Superhard Materials, Jilin University, China. He received his Ph.D. degree (2013) in Condensed Matter Physics at Jilin University. His scientific interests focus on the high-pressure physics and chemistry of low-dimensional materials, as well as the synthesis and mechanism of new functional semiconductor nanocrystals. In recent years, He has published more than 40 papers in peer-reviewed international journals, and their citations exceeding. Dr. Xiao, one paper was selected as a highly cited paper by Essential Science Indicators. He was also authorized 3 items of national invention patents. Dr. Fei Yu did B.S. from Hubei University of Technology in 1994 and M.S. from Dalian Polytechnic University in 1997. Later, he did Ph.D. from University of Minnesota in 2007. Since 2014, he is an Associate Professor in the Department of Ag and Biological Engineering, Mississippi State University. Dr. Yu has numerous awards/honors and publications to his credit. Prof. Dr. Haibo Zhao is now a full professor in State Key Laboratory of Coal Combustion, School of Energy and Power Engineering, Huazhong University of Science and Technology. He received doctor degree at Huazhong University of Science and Technology in 2007 and then finished his post-doctoral research at University of Duisburg-Essen in April 2009 (supported by research fellow of Alexander von Humboldt Foundation). His research field covers the control and utilization of particles and CO2 from combustion. He published more than 100 International Journal papers. Dr. Hamed Eskandarloo received his Ph.D. in Applied Chemistry at the University of Tehran, Tehran, Iran, in 2015. Later, he joined as a Visiting Scientist at Politecnico di Milano, Milan, Italy. Since 2016, Dr. Hamed Eskandarloo is a Post-Doctoral Research Associate at the Cornell University, Ithaca, NY, USA. His recent research interests include Photocatalysis, Electrocatalysis, Microfluidic Devices, Water splitting, etc. Dr. Abdelmalek Hasseine is a professor of computer aided process engineering at the university of Biskra Algeria. He is a visiting professor at the university of Kaiserslautern Germany. He earned his PhD in Computer-Aided Process Engineering from the university of Algeria with excellent grade and it was a joint work with University of Kaiserslautern. He introduced the semi analytical methods for solving population balance equations and genetic algorithm optimization for the dispersed phases. His research expertise is in the area of the Fluid Separations, Mathematical and Computational modelling of polydisperse particulate and multiphase Systems. Dr. Przemyslaw B. Kowalczuk is currently affiliated with Norwegian University of Science and Technology Department of Geoscience and Petroleum. He did M.Sc. from Wroclaw University of Technology and Ph.D. Wroclaw University of Technology, Poland in 2008 and 2012 respectively. Since 2016, he is as Associate Professor in Wroclaw University of Science and Technology. Dr. Kowalczuk has numerous publications to his credit. Dr. Guillermo Petzold is an associate professor in University of Bío-Bío. He did Bachelor's degree in food science from The University of Santiago, Chile in 1998. He did Masters in Technology of Foods from University of Santiago de Chile in 2005. Later, he did Ph.D. in Computer Science from The Pontifical Catholic University of Chile in 2013. Dr. Petzold has numerous publications to his credit. I am Assistant Professor of Inorganic Chemistry, Department of Chemistry, Faculty of Science, University of Zanjan, Zanajn, Iran. I obtained my M.Sc. from Ferdowsi University of Mashhad, Mashhad, Iran, with thesis title “Synthesis of polyoxometalates and investigation of catalyses behavior in oxidation of organic Reactions”. Also, I was graduated in PhD degree from Rasht University, Rasht, Iran. My research interests include, Desulfurization gasoline, gas oil,…, Synthesize of polyoxometalates, synthesize of nano particles and nano composites. My skills Area are: Engineering; Nano Materials Science; Environmental Science; Nano composite, Petroleum ... I am the outer of various research studies published at international and national journals and conference proceedings. Dr Amin Shavandi received his BSc in Food Engineering from Chamran University of Science & Technology, Iran, and his MSc in Chemical Engineering from University Putra Malaysia. During this period, his research mostly focused on bio sorption of contaminants from aqueous solutions to treat industrial/agricultural waste effluents. He then accomplished his PhD degree in Food science/Medicine at the University of Otago. His doctoral research involved synthesis and characterisation of calcium phoshate based composite for bone tissue engineering. He joined the Centre for Materials Science and Technology as an Assistant Research Fellow in September 2016. Giancarlo Sorrentino is a PostDoctoral Researcher at the Dipartimento di Ingegneria Chimica, dei Materiali e della Produzione Industriale of the Università degli Studi di Napoli Federico II of Naples in Italy.He got the M.Sc Degree in Chemical Engineering in 2009 and in 2013 the Ph.D. in Chemical Engineering at the Università degli Studi di Napoli Federico II.He held a post-doc position in the scientific area of combustion processes from 2013 to 2016 at the Institute for Research on Combustion of the Italian National Research Council. I am an established researcher, with a sustained record of research productivity and quality research outputs, who has been evaluated and benchmarked by the South African National Research Foundation (NRF) rating system recognized by peers in my field. 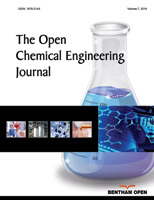 Currently, I serve as an Associate Editor of the Chemical Engineering Communications (CEC) and an Editorial Member of the International Journal of Oil, Gas & Coal Technology (IJOGCT). My research focuses on sustainable energy and clean environment, and research interests in these areas aim at proffering solutions to various problems mitigating sustainable energy and clean environment. I have authored/co-authored more than 100 peer-reviewed publications as contributions to field of chemical engineering and applied sciences. Francesco Desogus obtained the Master’s Degree in Chemical Engineering with honours in 2005 and the Ph.D. in Industrial Engineering in 2010. Since 2014 he is with the Department of Mechanical, Chemical and Material Engineering at University of Cagliari (Italy) as Assistant Professor. He taught courses of Organic Chemistry, Industrial and Energy Processes, and Chemical Plants, and now is lecturer of Transport Phenomena for Environment Protection. His research interests regard chemical reaction engineering, chemical reactors, and transport phenomena. In the last years, the research activity has been mainly devoted to microwave irradiated reactors for process intensification and polluted water treatment, and to pyrolysis processing of waste materials. Dr. Isaac K. Gamwo is a senior research chemical engineer at the U.S. Department of Energy’s National Energy Technology Laboratory (Pittsburgh, PA), where he currently leads the Equation of State research group. He is also an affiliate Graduate Faculty at Virginia Commonwealth University, a Director of AIChE’s Separations Division, and a Fellow of AIChE. Dr. Gamwo previously served in academia. He earned his M.S. and Ph.D. in chemical engineering from the Illinois Institute of Technology (Chicago, IL). Dr. Gamwo is credited on over 150 publications including 35 journal articles and 2 books. Dr. Mohammed Saedi Jami is an Associate Professor in The Department of Biotechnology Engineering, Faculty of Engineering, International Islamic University Malaysia (IIUM). He earned BSc in Chemical Engineering from Addis Ababa University, Ethiopia, MSc and PhD In Chemical Engineering from Nagoya University, Japan, Postdoctoral Researcher Japan Society for the Promotion of Science (JSPS) at Suzuka National College, Japan. He is Chartered Chemical Engineer and Member of Institution of Chemical Engineers, CEng MIChemE (UK), Member of The Filtration Society Japan, Malaysian Water Association and Malaysian Society for Engineering and Technology. Currently, he is involved in various research, teaching, administrative activities working in the areas of water and wastewater treatment (municipal and industrial), environmental engineering, artificial neural network modeling of environmental systems, membrane processes, bioseparation processes, alternative energy (biofuels). Dr. Priyabrata Pal is currently working as Research/Teaching Associate in the Chemical Engineering Department at Petroleum Institute, Khalifa University of Science and Technology, Abu Dhabi, United Arab Emirates. He completed his PhD in Engineering from Jadavpur University, India in the year 2010. He worked as Assistant Professor at Thapar University, India and also as Research Assistant at University of Malaya, Malaysia. He has vast research experience in the broad area of Chemical Engineering including natural gas sweetening, nanotechnology, water treatment etc. He has more than 25 research publications including U. S. and Indian patents. Dr. Vahid Pirouzfar is an assistant professor of Chemical Engineering Department at Islamic Azad University, Central Tehran Branch, Iran. He obtained his M.Sc. in design of chemical processes at the chemical engineering faculty of Tarbiat Modares University, Tehran, Iran (2007). His Ph.D. degree was in Process Simulation, Control and Design Team of the group consisting of Prof. M. R. Omidkhah, Prof. A. Z. Moghadam and Dr. S.S. Hosseini at Tarbiat Modares University (2013). Vincenzo Russo got in May 2014 the PhD in Chemical Sciences at the University of Naples Federico II. From May 2014 to July 2016 he worked as Post-Doctoral Researcher at the Department of Chemical Sciences of the University of Naples Federico II, working on reaction modelling, catalysis and kinetic investigation of multiphase systems. From July 2016 till September 2017 he worked as senior researcher at Åbo Akademi University working on multiphase reactors modelling. In September 2017 he got his second PhD degree in Chemical Engineering at the Åbo Akademi. From September 2017 he is Assistant Professor at the Chemical Sciences Department of the University of Naples Federico II. Dr. Madjid Soltani has completed his Ph.D. at the University of Waterloo, postdoctoral studies at the University of Johns Hopkins, Division of Nuclear Medicine and Computational Medicine Institute (CMI). He is the assistant professor at K.N.Toosi University of Technology in Iran and also adjunct professor of department of Earth & Environmental Sciences at the University of Waterloo. His main area of interest is tumor vascularization, drug delivery, renewable energy, and CFD. He is the reviewer of numerous journals, has delivered several presentations in international meetings, published more than 70 papers in the reputed journals, conferences and written 2 book chapters. Dr. Dai-Viet N. Vo received his Ph.D. degree in Chemical Engineering from The University of New South Wales (UNSW), Sydney, Australia under the supervision of Prof. Adesoji A. Adesina in 2011. After working as a postdoctoral fellow at UNSW and Texas A&M University at Qatar, he joined as a Senior Lecturer at Faculty of Chemical & Natural Resources Engineering, University Malaysia Pahang, Malaysia in 2013. He is the author of 2 books, 4 book chapters, 60 peer-reviewed journals and 70 conference proceedings. He served as Principal Guest Editor for several Special Issues in International Journal of Hydrogen Energy and Catalysts.